Access control is a unique way to maintain the security of your company or home. The latest state of the art systems allow business owners full control over who goes where in a building. Starting with the entrance where installation of a swipe card system will ensure safety from intruders for employees and employer. An access control system can be managed from a local computer system and is versatile allowing for expansion of the system as needed. For Access control in Manchester you can do no better than Check Security Limited. The company has over 30 years of experience in security systems and can deliver a tailor made solution for your access control needs. We supply systems that will ensure the safety of your home or business premises. Check Security Limited can offer the ideal solution for securing commercial and domestic premises. Whether you want a simple entry phone at your gateway or a sophisticated access control system for a big business we can supply your needs. Our long experience in security systems allows us to design and install the right system for you. We offer access control essex systems for both domestic and commercials premises with a 24 hour rapid response service that will ensure your property is safe and secure at all times. Experienced and fully accredited engineers can fit a system that can be remotely monitored with the latest state of the art products. For businesses we offer access control systems that will ensure only employees are allowed on the premises. In addition, you can have certain areas of a building that are only accessible to employees of your choice. For more details about access control in Manchester look at the Check Security Limited website or ring 0161 794 9500 for a free quotation. High quality work with a professional service and competitive pricing means that an access control system is simple to obtain. All installations are guaranteed and insured so for access control in Manchester ring today. Do you want to prevent entry of unauthorized people in your office, store or business and keep exact records of your employees’ attendance? 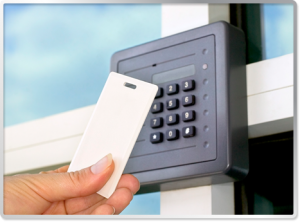 Check Security Ltd offer the perfect access control in Manchester and throughout the UK. We offer sophisticated solutions to safeguard your working area and prevent any unauthorised entry. We have various pioneering biometric systems for commercial use. So to improve the security of your business, contact us today. We also offer a full installation service with every purchase. It’s almost impossible to create duplicate keys for our Access Control Systems, making them one of the best and secure systems on the market. At Check Security Ltd, we have developed pioneering access control systems that do not require any kind of physical key to unlock the door. Your ID badge or your thumb can work as the key. Therefore, you can unlock the door easily and never get stuck inside or outside. We have been supplying our Access Control in Manchester and throughout the UK. They have all noticed a great improvement in their security measurements since our security system was installed in their home. If you’re looking to improve your security or are in the market for Access Control in Manchester, get in touch today. Copyright Check Security Systems © 2014 All rights reserved.